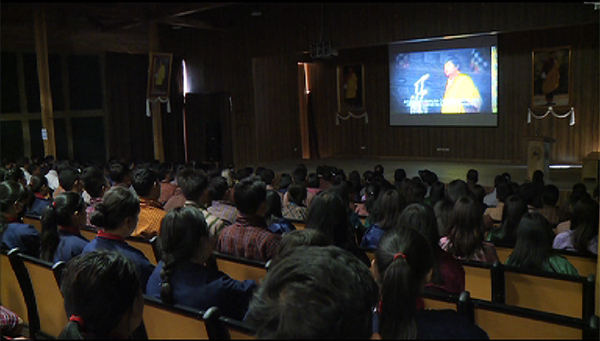 The documentary is about the country’s transition to democracy and its reflection of changing socio-political landscape in Bhutan since the introduction of democracy in 2008. The film is also a compilation of views on democracy, its benefits and challenges from a diverse group of citizens including politicians, local leaders, academicians, journalists, youth and women. Besides portraying the role of media in a democracy, the film also explains the need for better social media literacy awareness in the country. It pointed out that social media are the source of false allegations, especially during elections. “We just wanted to capture the views of people across Bhutan after ten years of democracy to be able to share, to document what happened after three elections and the three governments,” Siok Sian Dorji, the Executive Director of BCMD, said. The educational film will be distributed to schools, colleges and other training institutes across the country.